Editions : There is only one edition of this book. Ranking somewhat behind the Encyclopedia, Chronology and Tech Manuals, this book is more interesting than useful. 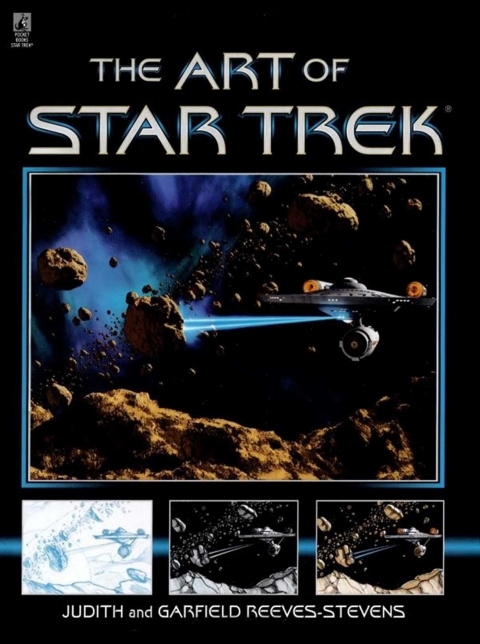 It's essentially a compilation of some of the artwork and props which have been done for Trek over the years, along with some discussion of how and why they were done. The most fascinating aspect is the array of stuff that never made it onto the screen - you see a lot of alternate designs for the different incarnations of the Enterprise, different versions of the aliens, alternate ideas for uniform design or bridge layout. The images range from rough pencil sketches through high quality artwork, including some of the matte paintings used on the shows themselves. There are also many photographs of actual props.